There’s no doubt that Newcastle’s financial results for the last year, which were released last night are very good, and there’s not too many clubs make £9.9M, but that’s because the big clubs are spending that money on good players. Newcastle’s financial position – if not the position in the Premier League – is improving quickly, and Newcastle look to be a well run club, at least on the financial side of things. And the next financial year should be a stellar year in terms of both profit and revenue as we detailed earlier today. Newcastle still owe Mike Ashley £129M, and there seems no hurry to pay off that debt but of course that adds to the cost of the club for a potential buyer. 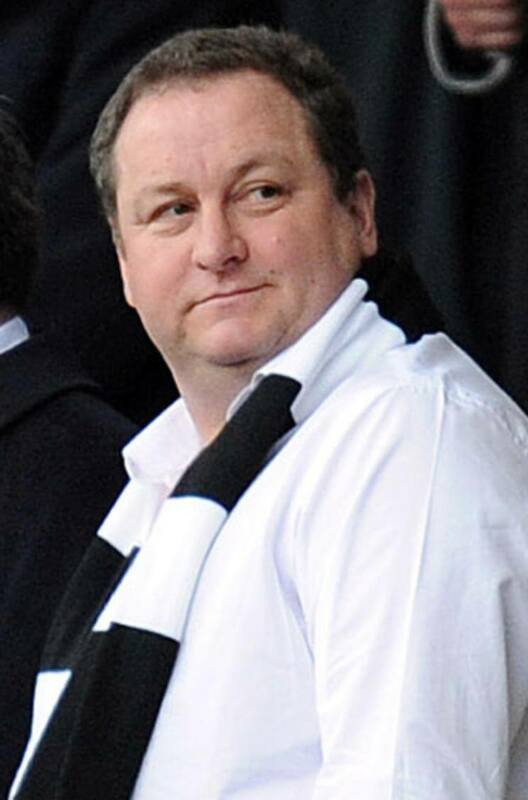 Of course other owners have given huge loans to their clubs, and then simply excused the loans – but we don’t expect for one minute that Mike Ashley will do that – and in any case £129M is a lot of money. But maybe if the club started to pay off the loan in the coming years, when profits are expected to surge, then the cost of the club will go down and Newcastle may attract some buyers. And now would be a decent time to buy Newcastle, with this financial year, which ends on June 30th likely to be stellar in terms of both revenue and profits. And remember the first thing any potential buyer does is due diligence, which is basically to scour the financial books, to see what state the club is in – and from what we tell Newcastle’s financial position is very good – and that alone could attract buyers. And to think Newcastle will be getting almost twice the money from the Premier League we received last year – and it’s expected to be around £80M. If a buyer did come out of the blue and buy the club, there would be a lot of the club’s money to spend on new players this summer, at the end of the current financial year which ends this June 30th..
We’ll just have to see if that doesn’t happen, just how much Mike Ashley gives Alan Pardew to spend this summer – although Alan said earlier in the week it should be a nice piece of change. What we really need is a good Director of Football, a football man, who’s job it is to build the side into a top four side in England, and that’s possible if Mike would give him the profits every year, and he can spend that on good players. Nice healthy accounts aren’t putting any trophies in the cabinet! Ed, its in the accounts ,Mike has been taking money out of the club for his loan, im not sure if it was 9 or 11 million last season, and maybe the season before as well and you can bet 15/20 million at the end of this season. When we had unhealthy accounts and massive debts we didn’t get any trophies either! accounts are great but the team and manager are shite. great , i am really pleased for him. Most the best DoF’s recently have been lawyers, bankers, etc. They need to be skilled negotiators, you can’t really send an ex-pro in (most of them can only speak in cliches & they get them wrong half the time), they’ll get destroyed by a Llambias, Cortese, or Comolli. You need someone intelligent & ruthless to deal with agents. Not someone who used to be good at kicking a ball. I’d loved to have seen JFK’s negotiating skills. time for the freebies in summer window!! here we come carlton cole! so we owe the Fat man 129 mill, has that not gone down yet? seems like we will be owing him 129 mill for a very long time. Messi and Ronaldo, would look poor under Pardew! Oh aren’t the accounts just great there Mike . How about sorting an open top bus to parade around Newcastle with Collo waving a spreadsheet FFS . Better yet do us all a favour and throw yourself under the bus you fat Cockney slob . Fattys bragging he’s in profit of course he is, he doesn’t spend anything. Mash is running the club as a business and nothing else, he’ll spend enough to hopefully keep us in the premier league. Its all about making money. He knows if we get into Europe he probably have to spend after the mistake last time, which he doesn’t want. He knows NUFC has plenty of fans willing to pay what ever players he fields. Its just a pitty he hadn’t a bit more know how on running a club since he pulls all the strings. We have no say on what he does and he knows it and he is happy the way things are even if we’re not. Pards is doing a good job as far as MA concerned, another more ambitious owner would have sacked him by now. Nothing going to change it’s just the way it is under Mash. JimBOB @ 9 – That £129mill debt is going nowhere. Certainly not downwards. It’s Ashley’s insurance policy to stay here and milk the club for all its worth. I don’t know where all the money goes that is coming into this club but two things we know for sure. It ain’t paying the debt off and it ain’t buying new players. Just WHERE is it going? Not on decent players wynsleap! I suppose Mash will always say the club ows him 129 mill, its a great way of saying that he can’t pay for the best player’s as he wants it down. One thing for certain I think he must be taking a good chunk back every year but no one will hear about it. Catchy, again, good stat work. Hatem could offer a lot more in an attacking team which is based round knowing each others role inside out. Instead, he is made to look a failed maverick who runs into dead ends due to like lack of players moving around him and pre-planned cohesion training. Every player makes wrong decisions which lead to the turnover of position. If they didn’t, everyone would finish the game with 100% pass completion and no tackles against them. Hatem looks worse because he is trying what most don’t. To take people on and make something happen. Hatem is a dribbler, and can be an excellent one as well. He can also create chances out of nothing and score goals. He can still provide product which also gets Pardew out of the mess like he did against Tottenham. Remy did it last game as well. Both, were poor games. Pardew’s scapegoating of Ben Arfa is nothing short of a joke and a cover up for his own coaching ineptitude. How long is it NUFC can remain a ‘takeover target’ before a credible Chairman is needed to take us through the summer? Or are we heading for another gaff? In reference to the accounts; the £9.9M profit confirms to me that there was a £10M transfer kitty in the summer that the Joeker failed to spend twice over. Another one for the list of gaffs! Last night while I was in the car and the commentators on Five Live were saying Man Utd look tired, lack of confidence and generally poor. Very un-Man Utd-like. Is it a wonder that one of the best managers ever has gone and an inferior manager has taken over. Those same players won the league by a big haul of points last year. Wuz they toired? Wuz the grass too long? Wuz they too hyped? Wuz it Scoiyence? Or did they have an excellent manager who has now gone, therefore the way he got them playing goes too? It is pretty much the same players I think. Put Arsene Wenger in charge of our players and watch the transformation in the players. No more playing poor and nicking a goal, or just playing poor and losing anyway. Even Van Persie missed a great chance for them, albeit on his weaker foot. Like with Cisse, team form can affect how the forwards react too. It’s not cut and dry that they should just score. It is a deterioration process. Would he have missed it if Man Utd were in confident and creative mood? Who knows. Top players miss good chances as standard. The balance sheet is good. Nice one… I’ve always wanted to see square A16 pass the number to A17. It doesn’t matter if the spreadsheet is in any state if our players look clueless going forward. Easiest thing in football is just to sit and try and contain. Just get men behind the ball, don’t commit them going forward and make it difficult for the player in possession. Pardew is way out of his depth because that is all he does. It isn’t good enough and is mindnumbingly boring to watch. when we had the injuries and suspensions the past few weeks I was happy to see us be difficult to beat and try to get a set piece goal a break away goal. the problem was we tried to attack but were all over the shop, couldn’t create and were a shambles at the back. Question is, what was the real purpose of installing the Joeker and did he succeed? Kinnear was just employed as the pantomime villain to wind the punters up! should we owe him 129m anyway ? was some of that from future fee’s due on players we had purchased , everyone does business like that anyway , why the need to pay the mortgage off and turn it into debt to him? Transfer, I like how balanced you try and keep things on here. I understand what you’re saying, I do. If we played like Everton have this year, I would agree that we’ll come back from it it. However, poor performances aren’t washing with me anymore when it’s gone on as long as it has done under Pardew. It’s all the time and I’ve been sick of it since Reading and the build up to that game. How we got out of the Stoke game with even a draw is nothing short of a miracle with the two sending offs. Just as Krul miraculously saved us from a hammering at White Hart Lane. We got that hammering when they played us again anyway. It wasn’t a team performance where we attacked well, kept possession and looked to be positive. It was a battering in that second half and Krul alone kept us in it at WHL. 6 points less for us would have put us in a lot worse state, plus the added multiplication of a losing mentality. I’m looking at the bigger picture of constant clueless offensive play, not the micro events which lead us to somehow nicking a goal in an awful game until the last 10 minutes. they both had lots of good football to offer the team, and SBR proved that when he came. People like me have a moan at the way things are now, but remember, it is only a reflection on how we see things not improving on the pitch. Also, we were so bad against a Villa side who are equally as poor. It still took a piece of great play by a QPR player to win us the game. Catchy, when Sir Bobby came in it showed what a very good manager can do to players who were only temporarily made to look poor by the previous manager. Robert lee and Alan were the scapegoats then as well, as you rightly say. A new, capable manager would make some of our players shine without their oppressive shackles of negativity on them. It’s sad how people still side with Pardew that the players somehow lose their abilities over night. Just like Man Utd players. Sir Alex got the very best out of some average players (and excellent players) in that team. We make a lot of good players look poor due to Pardew’s limits as a manager. The alleged debt is all smoke and mirrors. b) gets to use SJP as an advertising vehicle for his chav shop. Giving us the debt Interest free is a small price to pay when all he would get from a bank is 2 – 3% and yet he gets worldwide advertising and a toy. I’d prefer him to take all the TV money for the next two years to pay the debt and sell the club although he’d probably shaft us and sell to someone like the Venkys or Tan on purpose ! You can get 10% investing abroad! Firstly I cannot believe that people on here are complaining that we are in profit!?!?!?!? WTF!! We are a well run company and proves money can be made in buying a football club, and if Ashey does decide to sell this is one hell of a bargaining chip! Secondly last year we were on the verge of relegation and this year we look like 8th or 9th!! surely this progression!?!? There was no way we could compete for Champions League and do we really want Europa?? Thirdly = ED!! WTF is is going on with this blog when using mobiles?? It keeps asking me to either download lovelink apps or telling me that my phone has a virus! !